We all have those times where we are out at soccer games, or camping, or the beach, or hiking, or this or that. I don’t know about you, but generally blankets tend to join me on these adventures and they’re usually thrifted ones I’ve had throughout the years because I’m too cheap to spend good money on an actually good blanket that I’m going to be getting dirty. But now my life has been forever changed. There is now a yarn made specifically for the outdoors. With these rad qualities I mentioned above, we can now MAKE the blankets that accompany us on these memory-making adventures. 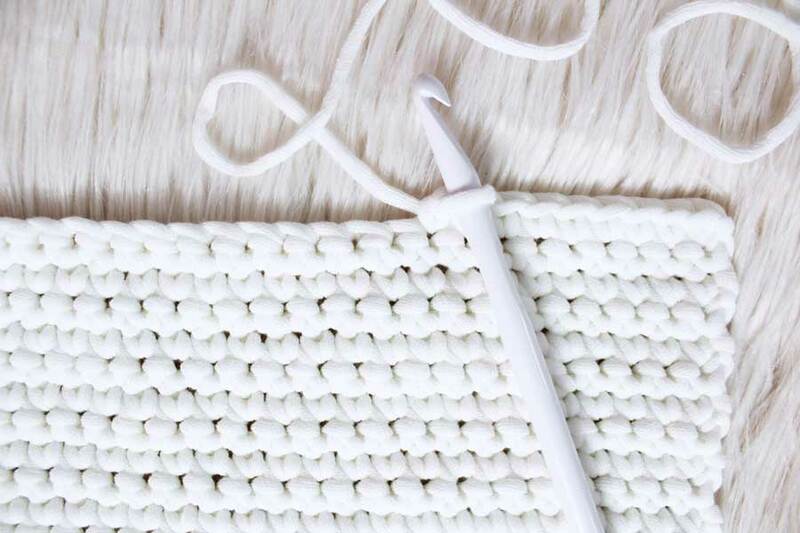 Machine washable and easy to brush off dirt and bark, this yarn is hands down ingenious. For this project I also really wanted to add a hood simply for selfish reasons. I am CONSTANTLY snuggled up in a blanket at home and being able to wrap completely up in it is just so utterly cozy. 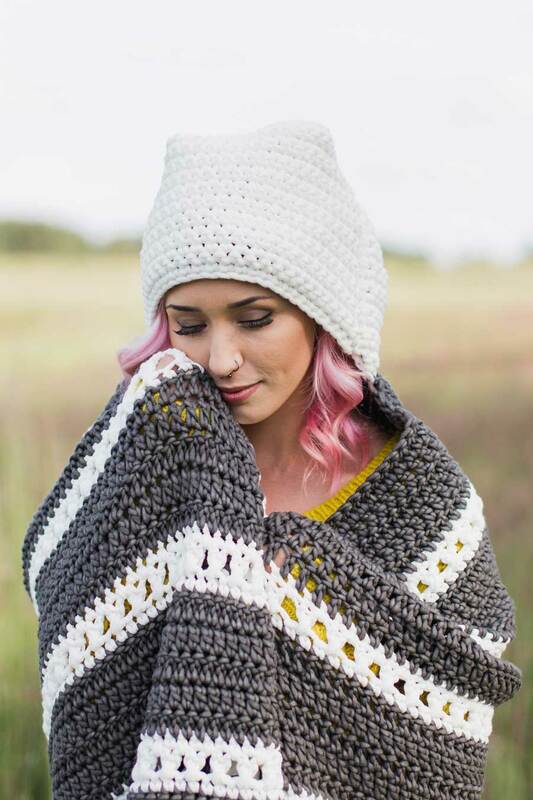 Add a hood for that extra “hug” and proceed to leave me be in my cocoon of happiness. CH 2 does not count as a stitch. 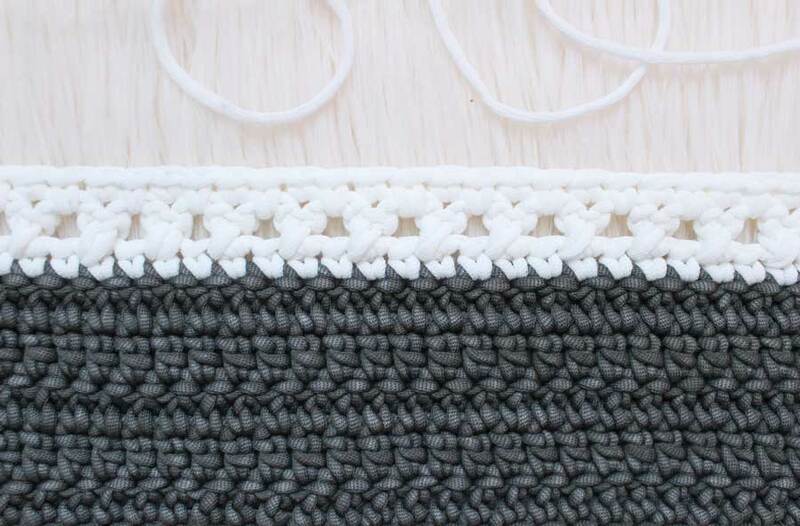 This pattern uses a twisted stitch technique. Follow the pattern as is for specific directions, but we are simply created “x” shaped stitches. 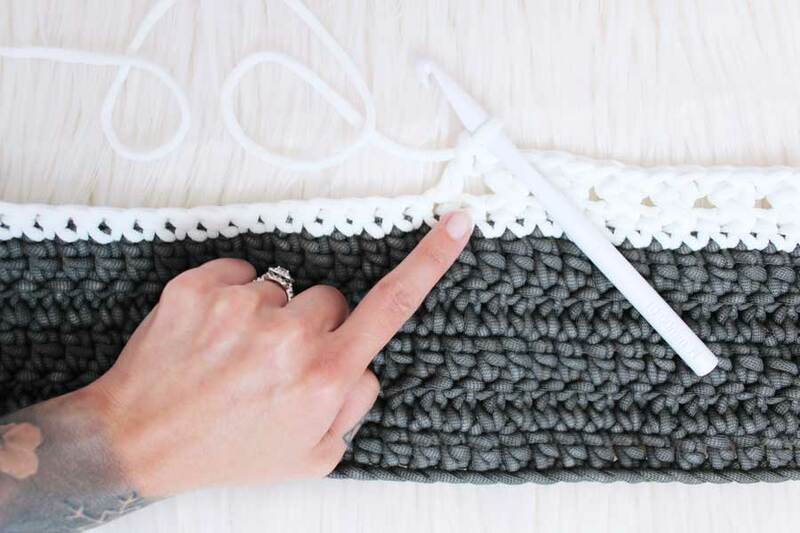 By skipping a stitch, working in the next, and then going back to work in the skipped stitch helps the DC criss-cross which creates a beautiful shape! Using Color A, CH 132. Repeat Step 2 for a total of 5 DC rows. Repeat Step 10 for a total of 5 DC rows. 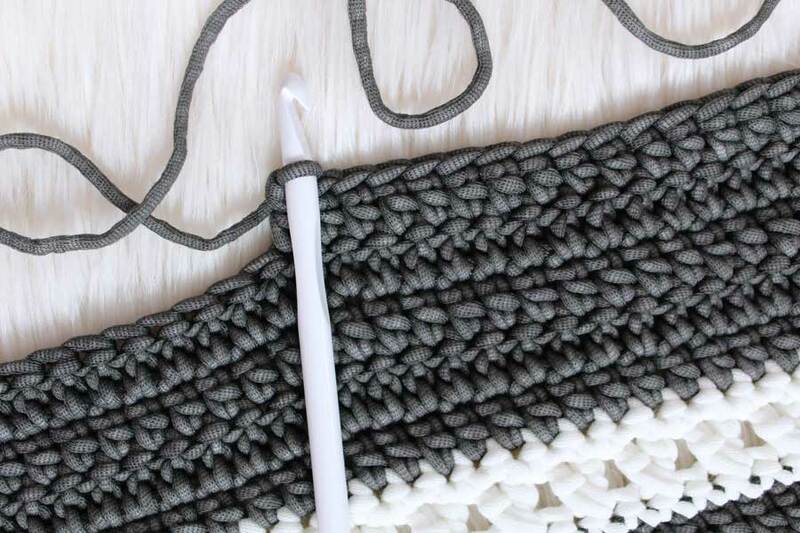 Repeat Steps 5-11 for a total of 9 repeats (you should have 9 Color B sections, with Color A sections on both ends). ‍Go back to skipped st, place next DC in this space. 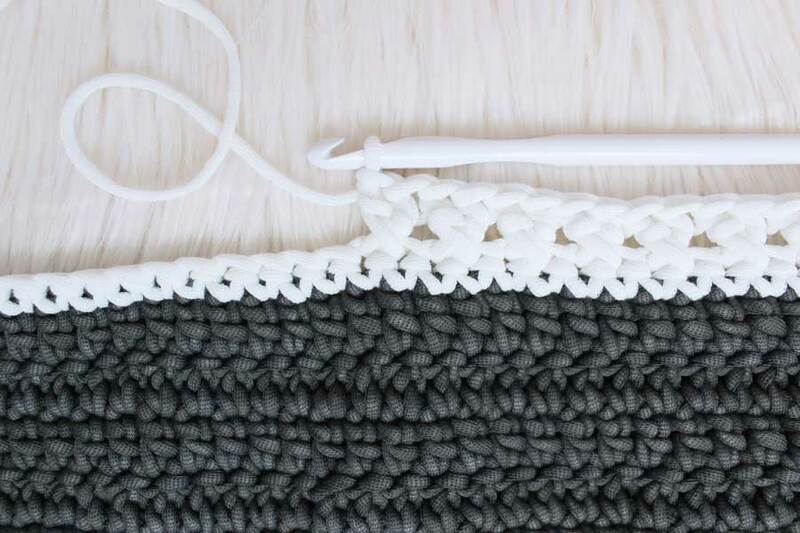 Repeat these two steps for these twisted double crochets. ‍This is what your work should begin looking like. ‍After completing twisted double crochet row, CH 1 and turn. SC as noted in pattern. This is what your Color B section should look like after complete. ‍Each Color A section is constructed of five rows of DC. 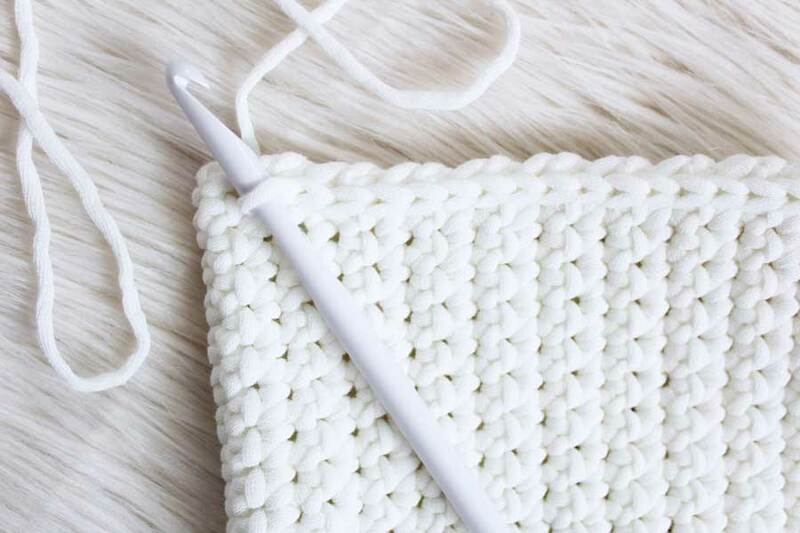 Isn’t this yarn just yummy?! Using Color B, CH 31. Repeat Step 2 for a total of 22 SC rows. Do not finish off. Fold piece in half, connecting first and last rows. CH 1, Sl St evenly along the short side, making sure to seam both edges together. Place one Sl St for each SC row. Finish off. Reattach Color B to opposite short side using a Sl St. CH 1, Sl St evenly along second short side, making sure to seam both edges together. Place one Sl St for each SC row. Finish off, weave in ends. ‍When creating the hood, we are doing repeat rows of SC. 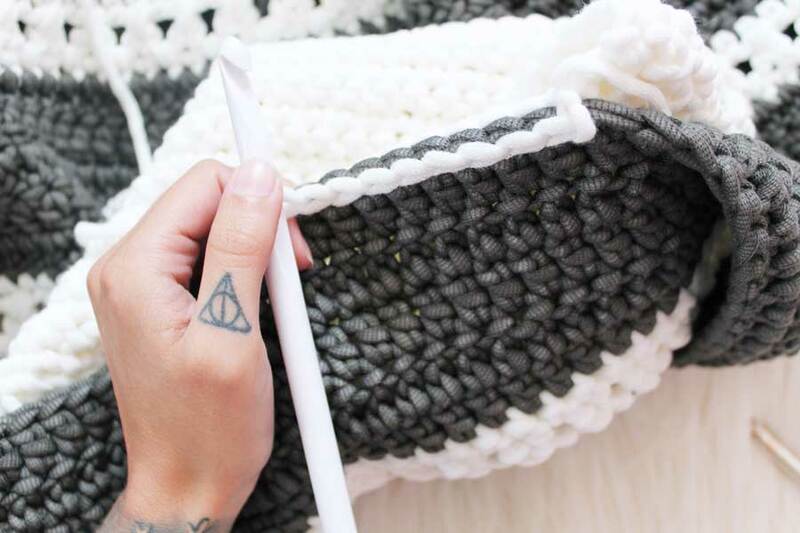 ‍Once hood piece is complete, fold in half and seam sides together using Sl Sts. Turn assembled hood inside out, making sure to pull corners out completely. 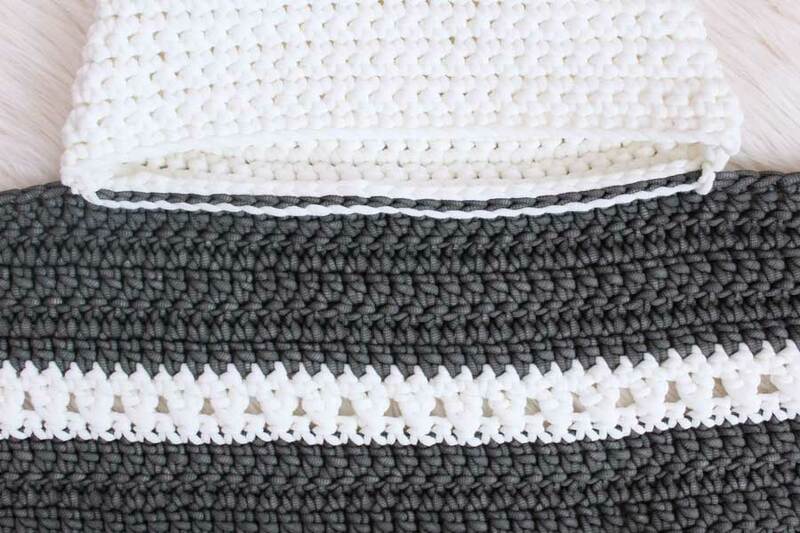 Lay blanket out completely. Starting at the last st created on the blanket, count inward 50 sts and place stitch marker in 51st st. Repeat for opposite side. (We are marking out the space where we are going to connect the hood). Lay hood in mapped out section. Attach Color B through both hood and last row of blanket using a Sl St. CH 1. Sl St in next 29 sts. Finish off, weave in ends. 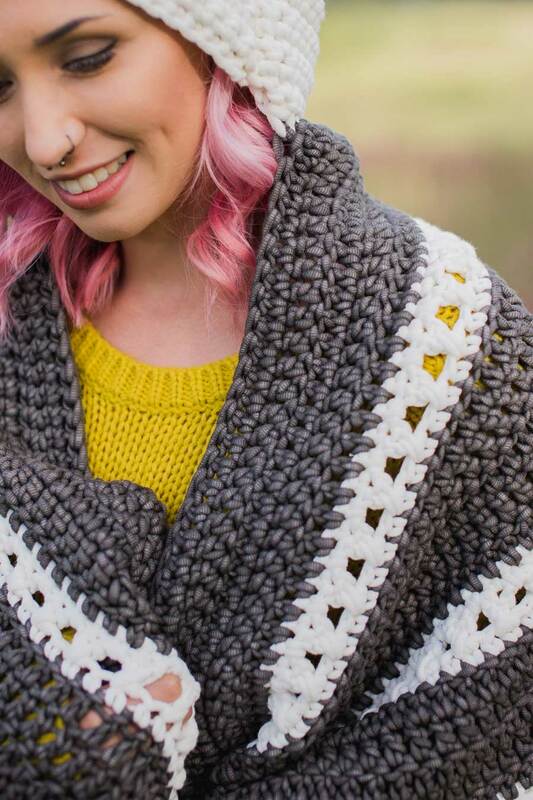 With blanket laid out, back side up, fold corners towards each other and, using a yarn needle, fasten them together with a scrap piece of Color B yarn. Be sure to keep the knot underneath the folds to keep it hidden. ‍Attach hood onto blanket (after marking the middle as noted in pattern) using Sl Sts. ‍Sl Sts create such a beautiful and finished-looking seam! 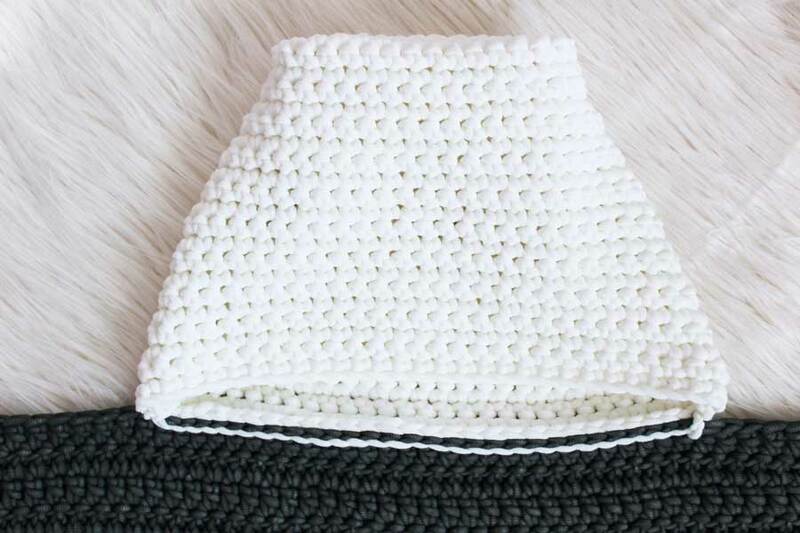 ‍Once hood is attached to blanket, pull corners in towards the middle. 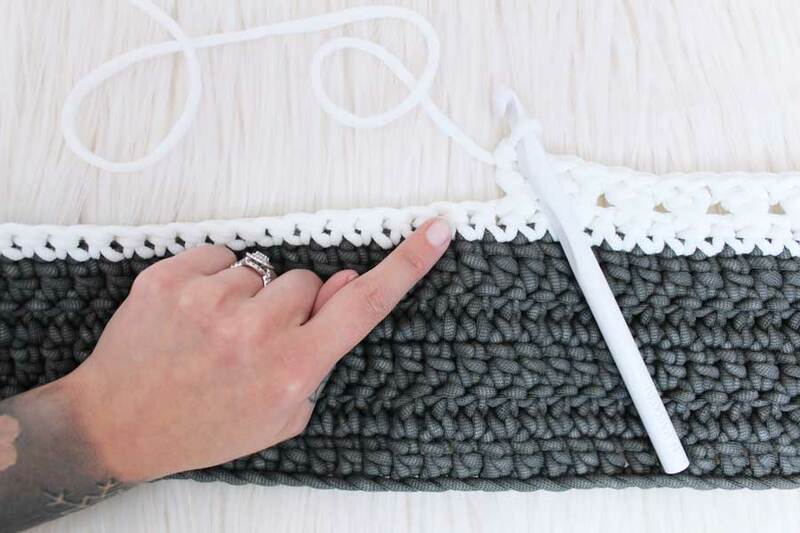 Using a scrap piece of Color B yarn and a yarn needle, sew the two corners together. 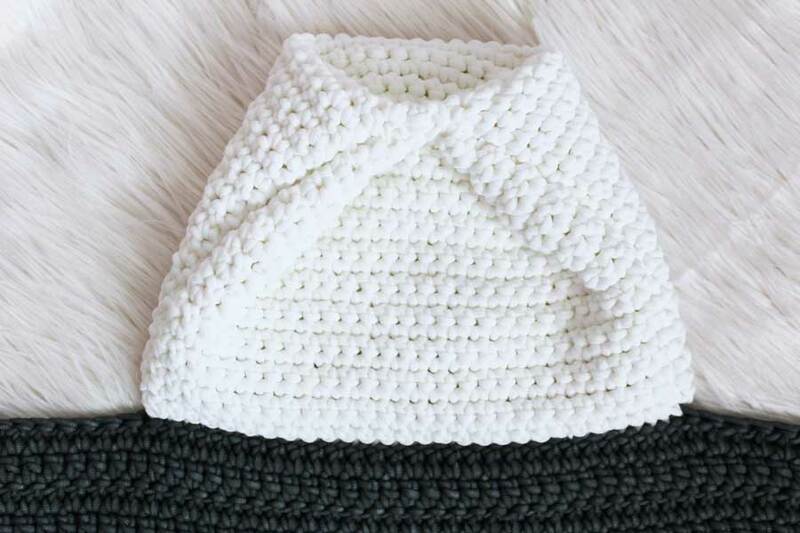 This creates a flattering rounded hood shape. 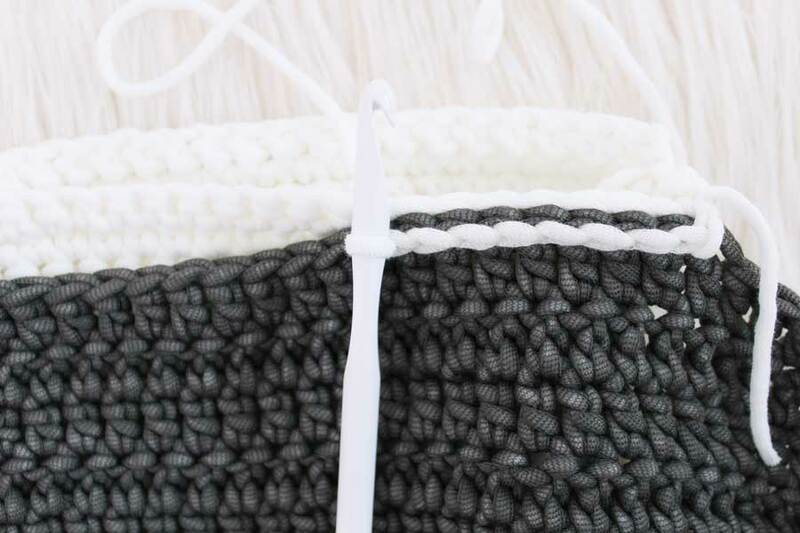 ‍This is what the front of the hood looks like after corners are sewn together. 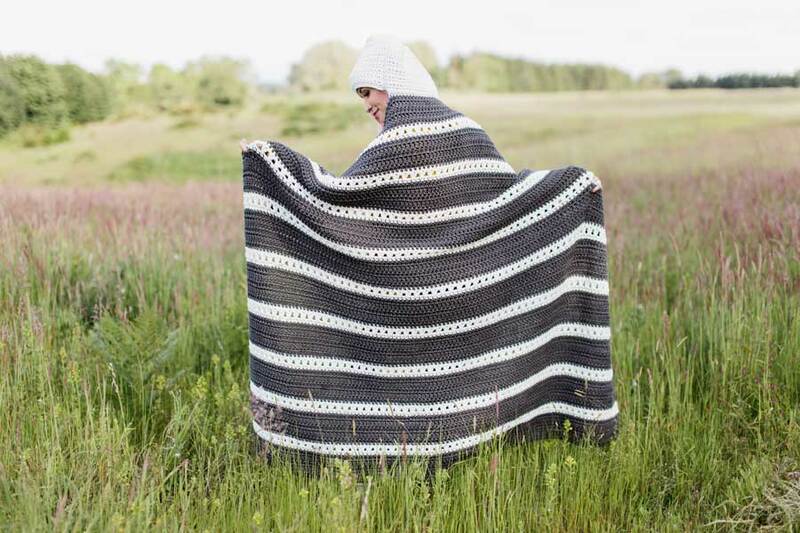 Now that you have one seriously cozy and HOODED blanket in your lap, go schedule ALL the adventures and have a complete and total blast this summer!